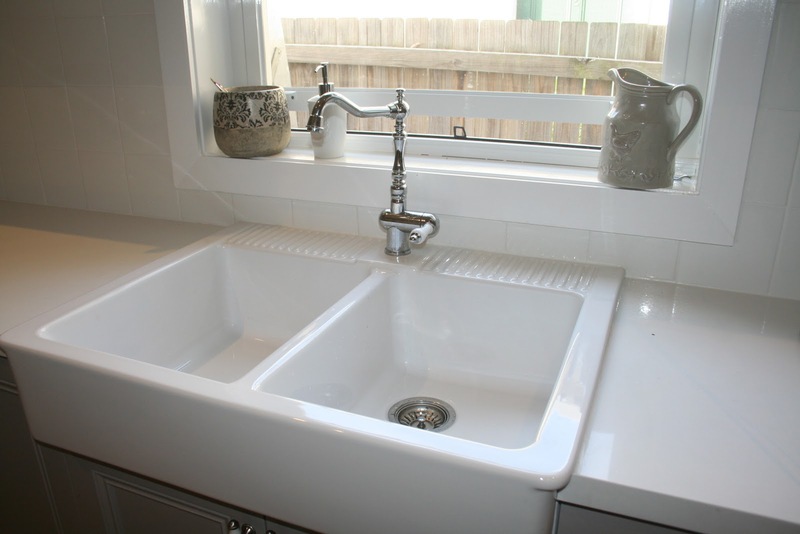 One of the things on my kitchen wish list is a new farmhouse sink. Sort of like this one from IKEA. However, I knew that a new sink would lead to an entire kitchen renovation including new countertops, new backsplash, new cupboards and new flooring. But alas a new kitchen is just not in the budget, at least not for the next couple of years, so I decided to make due with what I had. At the very least I thought if I could make the grout on the countertop tiles look new again the sink might not be that noticeable. I searched on the internet and found a homemade recipe for grout cleaner. It consists of only two ingredients – bleach and baking soda. Easy enough I thought as I always have those two things on hand. 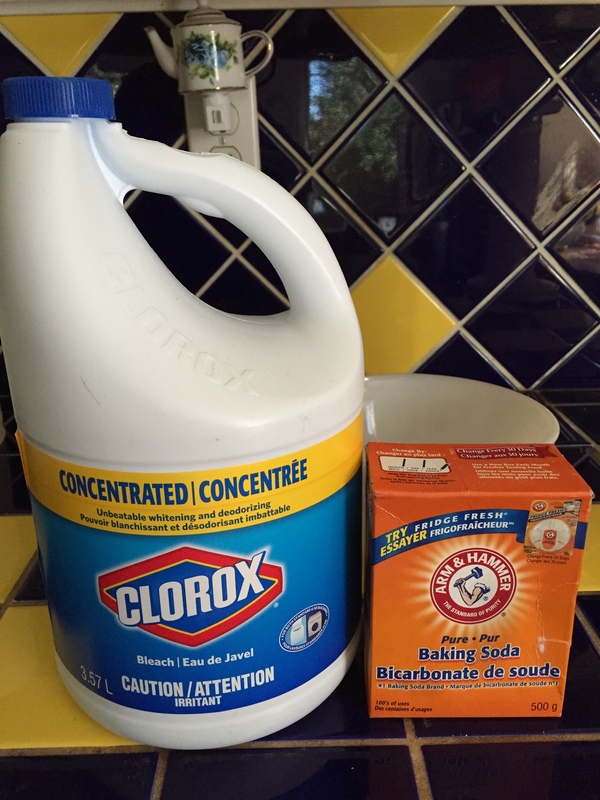 You simply mix the bleach and baking soda until you have the consistency of a thinned out glue. You smear it on the grout lines and let it set for 20-30 minutes. I accidentally dropped some of the mixture in the sink while I was trying to clean the grout. When I went to wipe it up the spot in the sink that the mixture was on had turned a sparking white. I quickly mixed up another batch and smeared it all over the sink (if you do this wear rubber gloves). 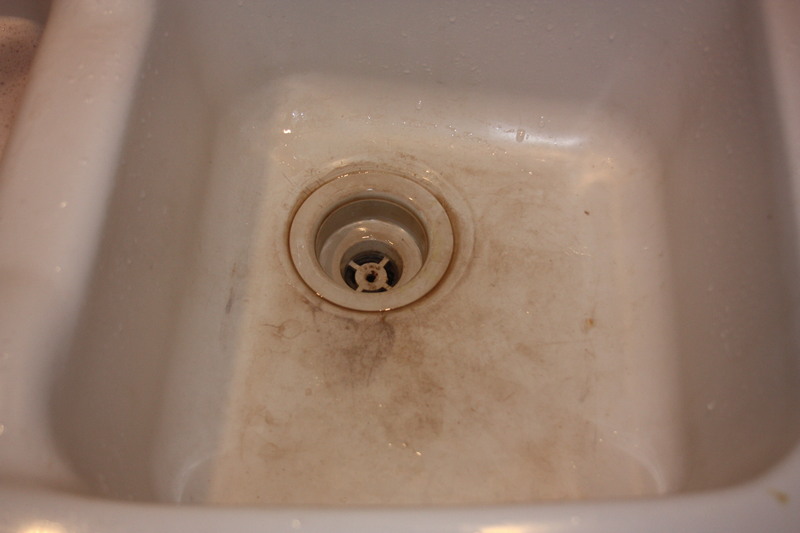 Twenty minutes and a good rinse later and I had what looked like a totally different sink. 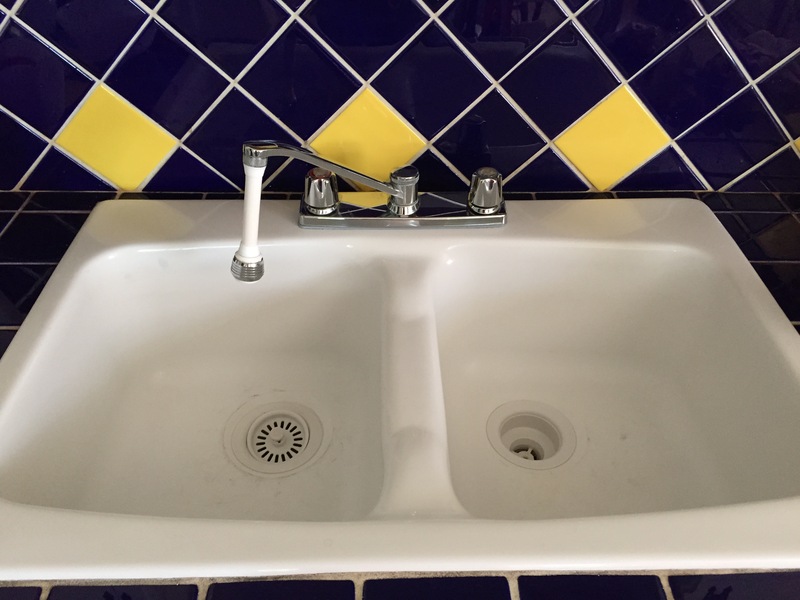 So while it’s still not perfectly stain free or a new farmhouse sink, my accidental discovery does make me smile now instead of cringe with embarrassment. I’ve been told my sink is made from polyester plastic ??? but no one has been able to advise on how to clean the sink or get the stains out. I did try commercial cleaners and other homemade cleaners but nothing has worked as well as my accidental homemade concotion of bleach and baking soda. I am sure this is good for many other cleaning projects that I have yet to discover. Oh and if you are wondering my grout did lighten but it didn’t whiten. Maybe one of these days I’ll accidentally discover an amazing grout cleaner too! Homemade sink stain remover it’s A Wandaful Thing!! 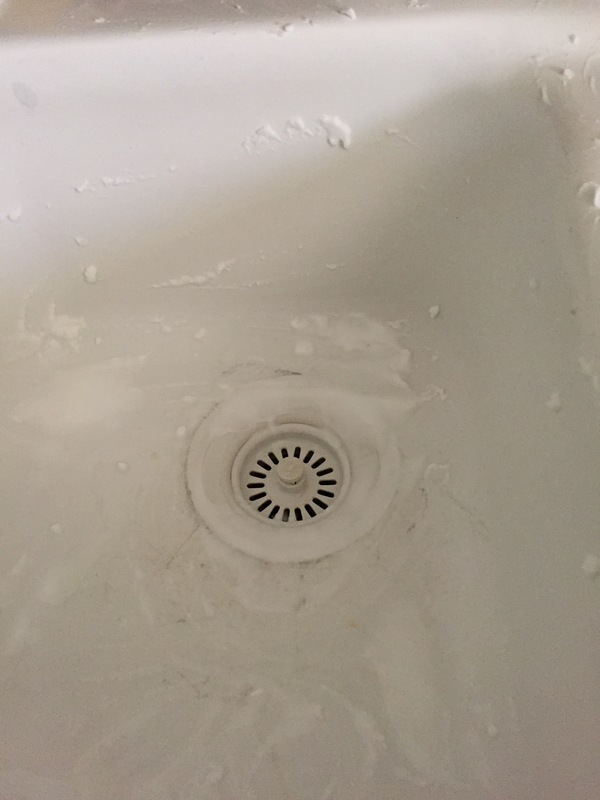 This entry was posted in DIY and tagged accidental, baking soda, clean, cleaner, countertop, DIY, grout, javex, simple, sink, tiles. Bookmark the permalink.